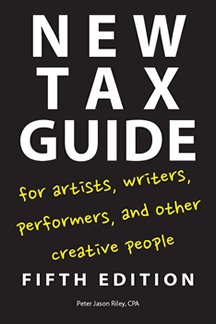 The New (5th Edition) Tax Guide forWriters, Artists, Performers & Other Creative People, by Peter Jason Riley, CPA is the only complete tax guide available specifically for the working artist. Now in its fifth edition, available now from Hackett Publishing. My goal in writing this book was to give the artist an overall understanding of the unique aspects of taxation for people in the arts. By reading the book and using my deduction checklists I want you to do a better job at collecting the data through the year and be better prepared to present your tax information to your income tax advisor. Real life examples illustrate the many situations an artist may encounter. By understanding your specific situation you will be better prepared to choose an appropriate income tax advisor. The 2017 tax reform bill TCJA has made major changes to several aspects of my book. Key among them is the elimination of employee business expenses that was discussed at length in Chapter 3 as well as the new 199A "business income deduction." I have a corrected chapter 3 from the book, it can be downloaded below and have linked to updated sections for each artist on the website that will provide corrected information to my readers. You were amazing! Right before your session, I had told the students that it would be a bit more "dry" than the other ones we had offered, simply given the subject matter. But that was not the case; not only did you provide amazing practical information but you did it in a very entertaining and easy-to-follow style! I think this is precisely the reason why the students responded SO well to your talk. Keep in mind that no matter how good your tax advisor is, YOU are the one who has to develop a basic understanding of your taxable income and what is deductible, so that you are saving the proper receipts and documentation for your tax return. Four artist friends, whose professional lives illustrate many examples throughout the book, demonstrate the unique business and tax aspects of being in a creative endeavor. The reader walks through a full year of their activities as artists and the tax implications of their work. Liz Brushstroke - VisualArtist and College Professor. 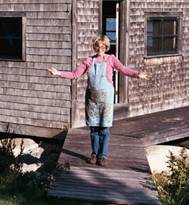 Liz is a tenured college professor but she also has an active life as an independent visual artist and is represented by a gallery in New York City and Dublin. Click here for Sample Tax Return. Ima Starr - Actor, model and writer. Ima is very busy as both actor and model. 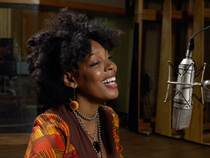 She is also a part-time singer and has even written a book. She is a member of Actors� Equity Association and the Screen Actors Guild (SAG). 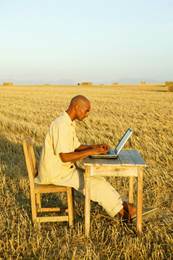 Click here for Sample Tax Return. Sonny Phunky - Musician. 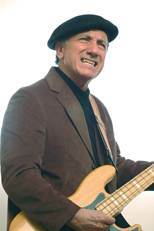 Sonny is a freelance bass player and does some teaching on the side. He works both as an employee and as a contract player. Click here for Sample Tax Return. Guy Focal - Writer. Guy has a full-time magazine staff writer job but also has earnings writing freelance book reviews and articles for other publications, and he has published children�s books. Click here for Sample Tax Return. Other States, Other Taxes, Other Countries and the "Tax Home"
"It does an excellent job of demystifying the tax world for people who tend to not be naturally analytical." - Jared Nathan Garrett's review as published in The Academic Author. Being able to practice as an artist requires excellent financial advice; Peter is the savviest member of my family. Peter always makes the time to work together, and through many shows of kindness, tax planning with Peter becomes a personable process that enables creative life. The depth of Peter's knowledge combined with his ability to explain complicated tax law in simple and clear language is what makes this book such a great gift. Being a touring musician presents so many random and unpredictable variables when it comes to taxes. I no longer dread facing these tax scenarios that can be so intimidating. It is so comforting to know that someone with the skills and the ability to communicate is available to help - Peter is simply the best! Peter Jason Riley is my hero. He thoroughly understands the nuances, complexity, and roller-coaster unpredictability of an arts-based income--and how to tackle the accompanying tax challenges. His expertise and guidance are invaluable. If you make your living from your art, read this book! Peter Jason Riley has been transformational for our business. Working with someone like Peter who understands the values of our film production company and what the tax implications are has been nothing short of incredible. We are often traveling and on location, averaging over a dozen countries a year, and having a tax accountant like Peter who can direct us to the proper forms, timelines and how to stay on top of our tax requirements is a live saver. For you artists and creative companies, I cannot recommend his sage wisdom enough! Buy this book and safe yourself from the dread & confusion. Peter is one of those rare numbers guys with people skills, and among those few who can communicate with those other rare birds known as “artists.” And so, year after year, the migration begins towards beautiful Newburyport (Massachusetts) where we land on his doorstep, some frantic, others babbling, some panicked… And turning to make the return journey, one thing is clear, Peter is on the job and all will be well. If you have an MFA and not a CPA, you need this book. It'll save you money, ease your mind, and keep you out of prison. If you're a writer, artist, musician, performer, creative of ANY type--you can't afford NOT to read Peter Riley's New Tax Guide. Creative professionals sometimes get paid only once a decade--and The New Tax Guide will help you save money by telling you what's deductible (maybe things you never thought of!) and how to save money for your peace of mind. What could be more conducive to creativity than that? This extremely helpful book has given me tools I was sorely lacking. Without Peter Jason Riley and his illuminating tax guide, I would be an anchorless ship on the high seas of finance! Peter Jason Riley is a master of his craft and has been an indispensable part of our music industry team for over a decade. Taxes don’t have to be as painful as dentistry anymore. Peter's approach will give peace of mind. It’s a must read for everyone! For too many years, CEOs, lawyers, lobbyists, financiers, and other fat cats have tapped top tax advisers with insider tax tricks to drastically cut their tax bills—and soak everyone else. Peter J. Riley is the expert tax adviser for the rest of us. He levels the playing field for us writers, artists, actors, musicians, and other creative folks. Peter may not make you a millionaire, but he can make you think and calculate like one come tax time. He knows all the creative but legal tax strategies and secrets to reduce your tax burden so you can quickly get back to doing what you do best—with your money still in your pocket. Better yet, he explains all these strategies and secrets in plain, easy-to-grasp language that makes complete sense to the average, semi-numerate person like me. If you are in the creative world, reading Peter’s new tax book is almost your patriotic duty! As a writer and editor, numbers have never been my strong suit. I owe a lot to Peter and his incredibly informative, accessible website and book — consequently (and thankfully), I don't owe as much at tax time. Peter is my front line of defense against financial mishaps that could be disastrous to my business and creativity. Because of Peter's comprehensive knowledge of the world of tax possibilities available to artists, I am free to be imaginative and spontaneous without the worry of mistakenly landing in the palm of an overzealous IRS employee. As a writer in desperate need of tax assistance, I read Peter Riley's book in one breezing sitting. It was a great help in opening my eyes, full of little-known facts, figures, and even humor to help any contributor to the arts. Thank you, Peter! Peter Riley and his great book not only saved me thousands of dollars in tax payments, but he also saved each of my band members thousands. He knows the ins and outs of entertainment tax law and we are all in a better place financially because of it!